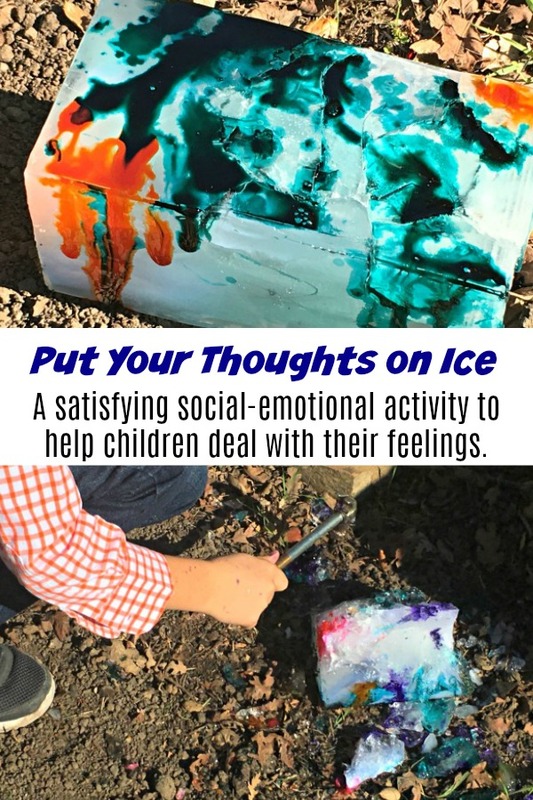 Put Your Thoughts on Ice: Social-Emotional Activity is great for dealing with feelings and obsessive thoughts. 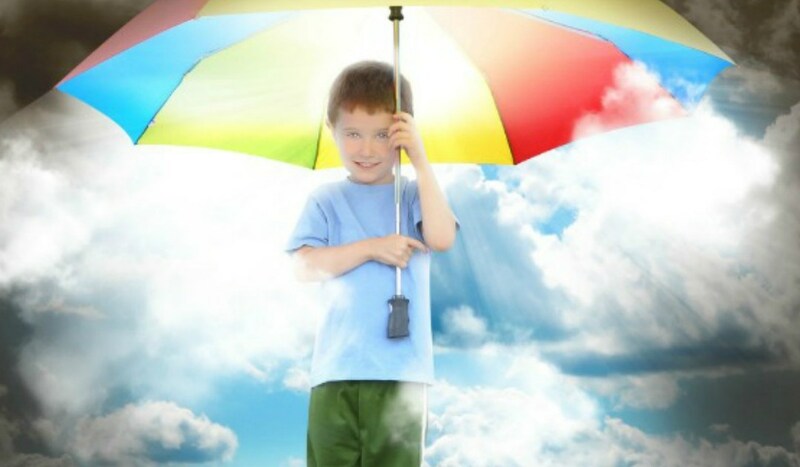 Many of the children that we work with have difficulty transitioning. 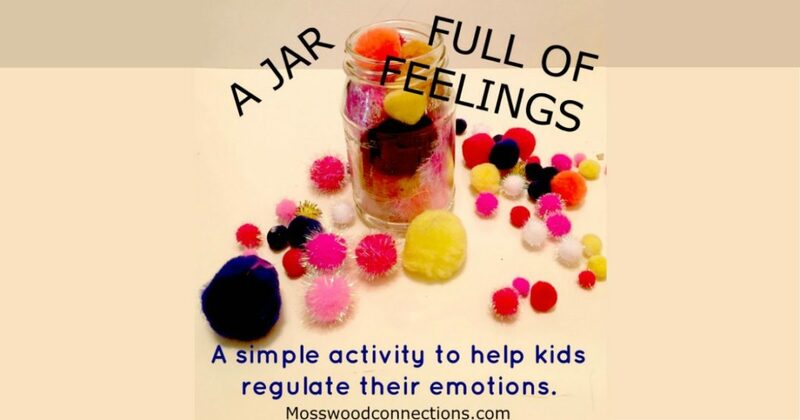 That can also mean that they may have a hard time letting go of bad feelings. Some children can obsess over an upsetting event for years. I know a fourth grader who still talks about the problems that he had in kindergarten. For young children, moving past a difficult situation can be challenging. The best thing that we can do for these kids is to acknowledge their feelings and then help them to move past them. 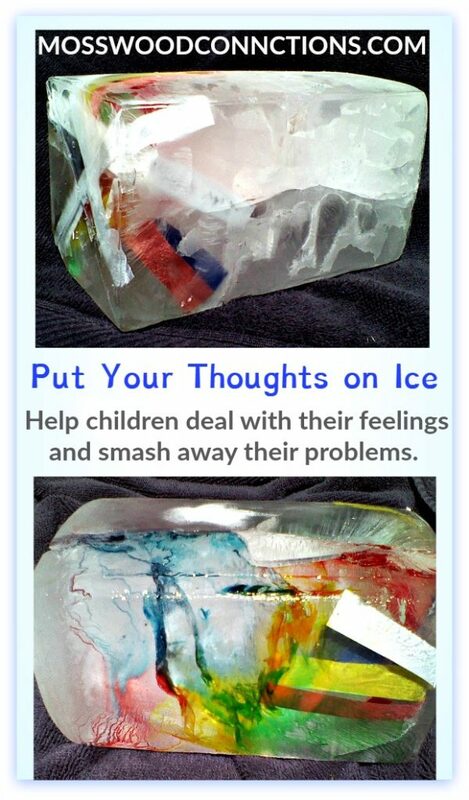 This Put Your Thoughts on Ice: Social Emotional activity is so fun and satisfying that you may want to do it yourself. First, talk to the child about what is bothering them. Acknowledge their feelings but try not to magnify the problem. Here is an example of a conversation that I had with one child. At this point, the child understands that they should not follow someone after they have been asked not to. The child who pushed has apologized and has probably forgotten the entire incident, however, the child who has a difficult time processing and transitioning may not let this situation go. I bet you can think of other situations that your child may obsess over. Have the child write down all their feelings on the strips of paper. Do not censor what they write but you may point out when certain things should not be said to others but should be kept private. Fold the pieces of paper and put them in the container. Fill the container with water and freeze. After the water has frozen take it outside and remove it from the container. Have the child smash the ice with a hammer. The paper will actually splinter! I have to just stop and tell you how magnificent this is. The feeling of the hammer smashing the ice. The sight of the paper breaking up into small pieces of confetti. It’s an incredibly satisfying experience. Once the ice is smashed to bits, remind the child that you are now done discussing this situation and it is time to move on. If the child brings the topic up again remind them that it “is smashed and done”. 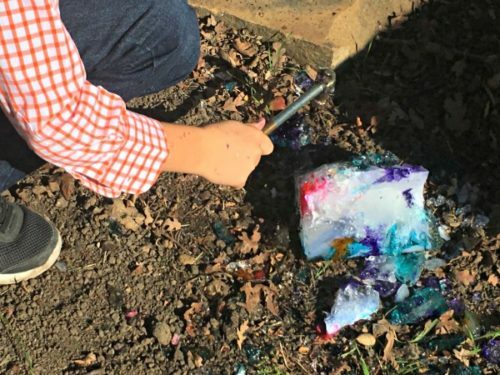 For added fun make an ice rainbow before you smash the ice! Make a solution of food dye and water. 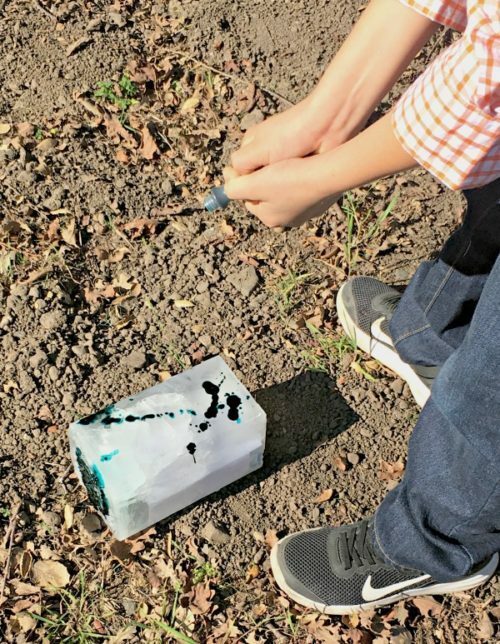 Use an eye dropper and drip the dye onto the block of ice. 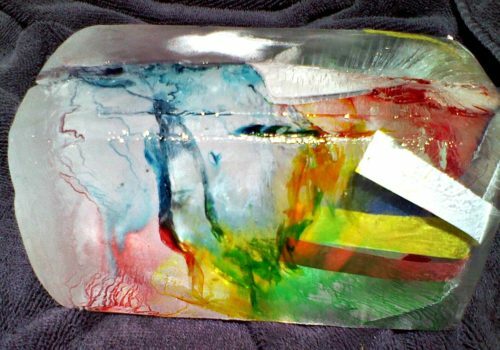 Watch the dye seep into the block of ice. It’s really cool looking. and coloring the ice is another calming activity. 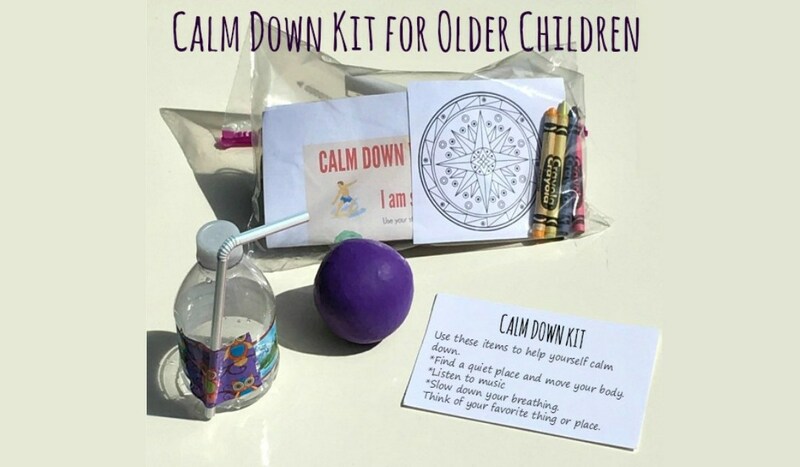 It gets the children to slow down and relax for a minute. Use this satisfying smashing activity to improve writing skills! This activity can be modified for building writing skills. I used this same activity for a writing club. While we edit I have the children write down what some teachers call “junk box words”. These are words that are either boring or over-used. Write the junk box words on the strips of paper. Once the words are collected freeze them in a block of ice. let the kids smash the “junk box words” and shout out more exciting synonyms.